North American syndicated rock radio show InTheStudio: The Stories Behind History's Greatest Rock Bands celebrates the 50th anniversary of one of America's most treasured boutique record labels, A&M Records. Music and interviews from The Police, Joe Cocker, Procol Harum, Supertramp's Roger Hodgson, Paul Rogers of FREE, Bryan Adams, Soundgarden's Chris Cornell, Peter Frampton, and Humble Pie will be featured in this special program. 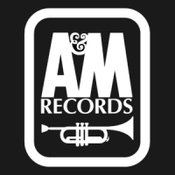 No one would be surprised to find that A&M Records, the most successful independent American label, headquartered in Hollywood no less, had the majority of their pop and jazz music successes come from US recording artists, starting with Herb Alpert himself (the "A" in A&M), Burt Bacharach and The Carpenters. But curiously the A&M did not stand for "AMerican" when it came to their rock music signings, which didn't start in earnest until A&M Records opened a London office just prior to the dawn of the Seventies. 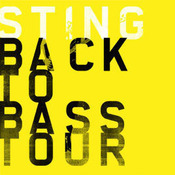 Believe it or not, not one of the musicians included in this program was asked to comment on their relationship with the label, but in the course of discussing their respective careers, each musician invariably volunteered stories of remarkable support by A&M Records without being prompted.